Eyes of a Blue Dog, adapted from the short story by Gabriel García Márquez, is an explosion of hopes ignited and extinguished. The Woolgatherers spent a season exploring this story all around New York City—on trains and busses, in parks and grocery stores—piecing together the sounds and images they found. That collage of fantasy and reality is this show: a cyclical dream-play about love lost and found, sought and forgotten. Adapted from the Biblical story of Abraham and Isaac, Genesis 22 is an immersive performance that twists forms and bends boundaries. The second production of NYC-based company The Woolgatherers, Genesis 22 tells the classic tale of humanity and faith in a new and surprising way. Is Abraham, the father who nearly sacrifices his child, a man of faith or a brutal killer? Sometimes meaning is found only at the intersection of form, and Genesis 22 seeks answers by dismantling traditional storytelling. With familiar text and unexpected turns, Genesis 22 tells a new story about an old story, and re-defines what it means to have faith—and what it costs to get it. Revel’s End is a mashup of Shakespeare’s last play with original R&B/pop music and collaboratively devised contemporary dance. Set in a Brooklyn night club, Revel’s End is neither musical nor play-with- music, but a new hybrid style: part concert, part play, and part dance party. 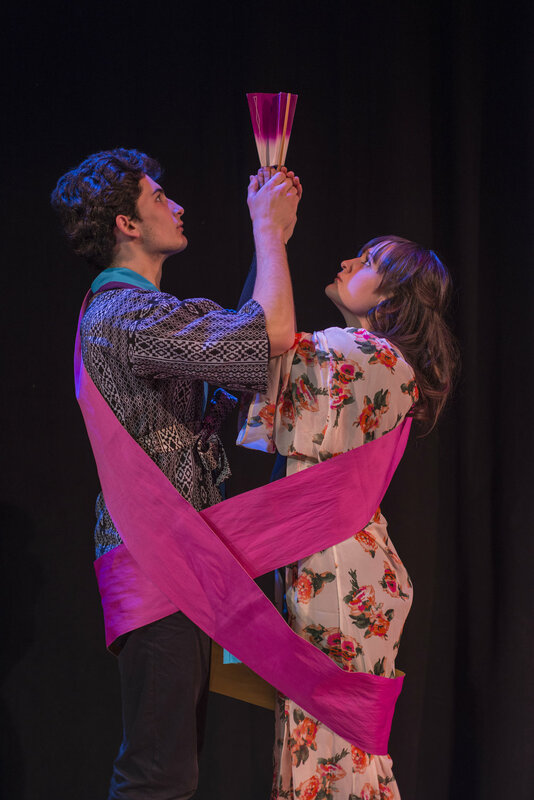 An adaptation of the classic kabuki tragedy Sonezaki Shinju, Starfall sets star-crossed lovers to 90s pop hits and hearkens back the raucous parties of kabuki in its golden age. Part tribute to traditional Japanese performance, part hip hop dance party, part cover band concert, Starfall is the night out you've waited for. Co-conceived and directed by Maya Herbsman and Grace Herman-Holland, Nocturne is a deeply immersive and experimental venture into dreams and nightmares. 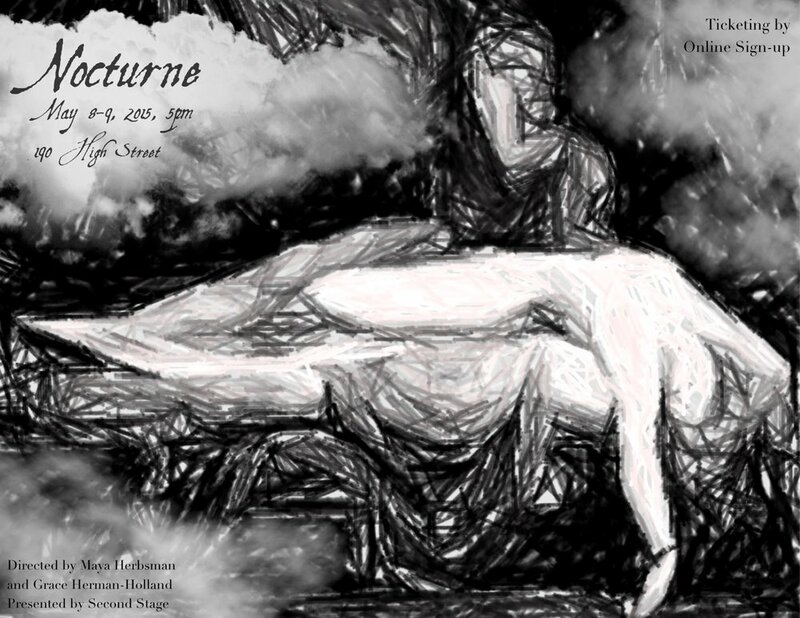 Made up entirely of one-on-one actor-audience interactions, Nocturne takes nine audience members at a time through a tumultuous and unsettling night of dreaming, ultimately leaving them alone and disarmed in the light of day. Adapted from three short stories by Gabriel García Márquez, Eyes of a Blue Dog tells the story of a man and a woman who meet in their dreams each night but can't find each other in reality. Quiet, symbolic, and circular, the play gently reflects on life, love, and the passage of time.